These earrings from Roberto Coin's Princess Flower collection were inspired by Italy. 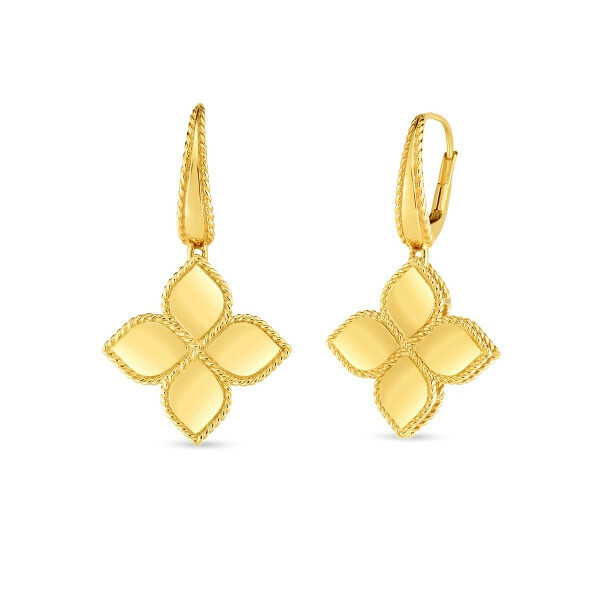 They have an uber-feminine floral pattern, with a quartet of 18K yellow gold petals that are elevated by an intriguing rope edge. This drop rests on a lever back, the front of which echoes this design detail. You can almost feel the aura of Florence, Italy when you look at these Roberto Coin drop earrings!